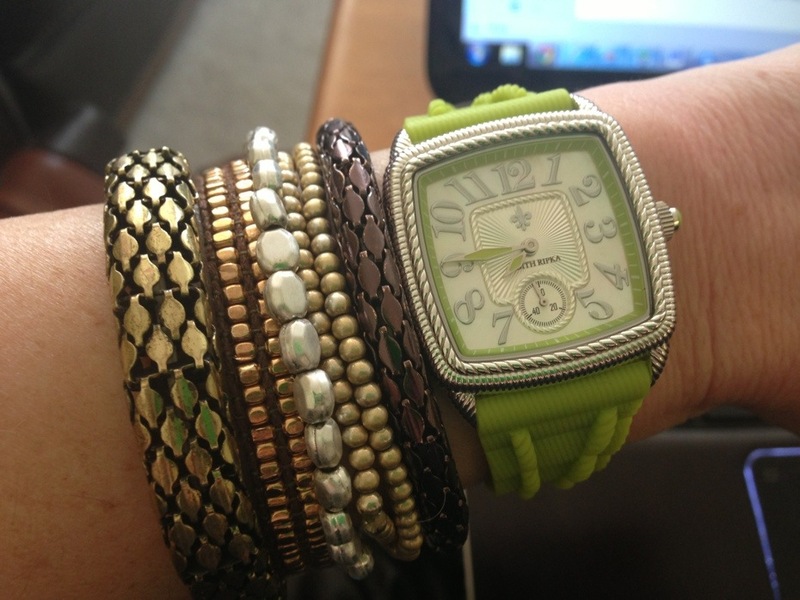 LOVE My New Watch Bling from Judith Ripka @QVC – She’s on TODAY! I’m ALL about layering these days. In fact, I’d say my go-to jewelry piece is always a bracelet or something on my wrist. Trumps a necklace or earrings. Bracelets, and layered ones, are the first thing I put on each day. Add on a cool watch and I’m good to go! Check out my new Judith Ripka watch from QVC that I got this week. Retail value is $130 and it’s on sale for $89.12. It comes in a ton of fun spring colors – I was torn between green and turquoise – as you can see, I went with green! Judith Ripka will be on QVC all weekend as she debuts new pieces and shares returning customer favorites from her, Judith Ripka Sterling Collection. Judith is scheduled to be on QVC at midnight, 3AM, 1PM, 5PM and 10PM (ET) on Saturday, March 24 and 4 AM, 4 PM and 7 PM (ET) on Sunday, March 25 a total of 16 hours of stunning sterling! 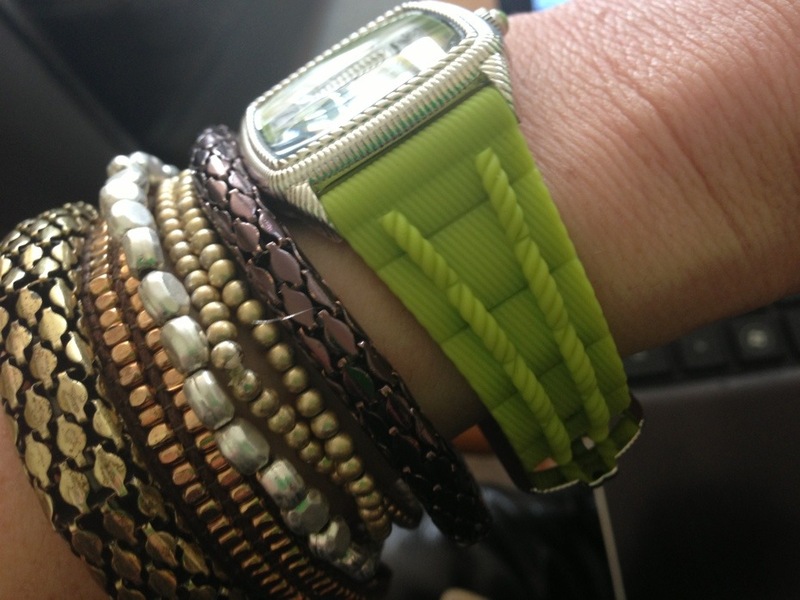 Plus, on Saturday at midnight ET Judith will debut the new Braided Double Row bracelet‚ as the‚ Today’s Special Value. Inspired by a piece in Judith’s couture collection, the bracelet exudes casual elegance with just a little bit of edge. like all your wrist accoutrements. . do like the watch face and must say best features are font as well as size of numbers- easy to read! Now that is one cool watch!! !